Over the past year, the cost of many prescription drugs has risen dramatically – with some companies like Turing Pharmaceuticals receiving much of the negative press. Now, a new report shows that consumers may be facing even higher prices in the near future. Researchers from the University of Illinois have stated that prescription medication costs will rise between 11% and 13% in 2016. They base this claim off of data on current trends and prescription drug expenditures made across the U.S.
“These estimates for growth are considerably higher than those we have made in the past but consistent with recent trends and other forecasts,” said lead author Glen Schumock. The researchers believe that the highest rise in costs will be seen in hospital settings, where prices have ramped up dramatically over the past three years. The rising cost of generics and specialty medications is also seen as a key factor; last year, 8.4% of the $419 billion made on prescription drugs was spent on drugs that were already on the market. “Individual drugs with the greatest increases in 2015 were specialty agents and older generics. These agents are likely to continue to influence total spending this year,” said Schumock. The researchers cite several specialty drugs that raked in the most cash in 2015. They mentioned a rheumatoid arthritis drug called adalimumab ($10.6 billion earned), insulin glargine for diabetes ($9.2 billion earned), an autoimmune drug called etanercept ($6.5 billion earned), and a statin called rosuvastatin that treats high blood pressure ($6.5 billion earned). Although the rising cost of medications may hit consumers hard this year, things could get even worse over the long-term. The FDA approved 45 new specialty medications last year, and if that trend continues then high prices could become commonplace. However, the researchers say that there is a way that prices could be driven down. They suggest that using “biosimilars” – drugs that are nearly identical to a name-brand, expensive drug – could allow consumers to get the medications they need at a lower cost. “Drug spending will be reduced only when there are a sufficient number of these products on the market to create competition and drive down prices,” said Schumock. The full study has been published in the American Journal of Health-System Pharmacy. When should you take that prescription? 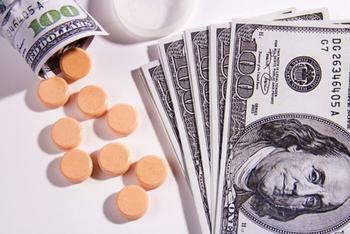 Should you have prescription drug coverage?